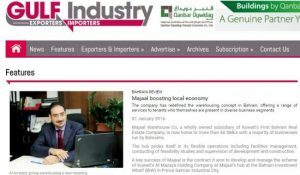 Majaal Warehouse Company, Bahrain’s operator of Industrial Facilities will lead the Industrial Facilities Sector at Gulf Industry Fair 2017 (GIF). 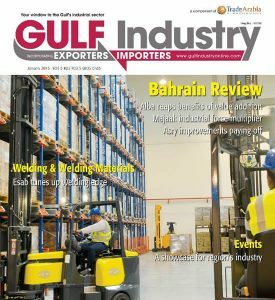 Gulf Industry Fair, the Northern Gulf’s leading annual industrial expo takes place from the 7-9 February 2017 at the Bahrain International Exhibition and Convention Centre under the patronage of HRH Prince Khalifa Bin Salman Al Khalifa, Prime Minister of the Kingdom of Bahrain. 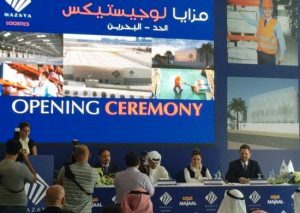 Manama, Bahrain: Majaal Warehouse Company is the Industrial Facilities sponsor at Gulf Industry Fair 2016. 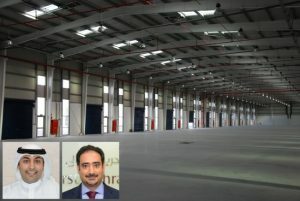 Having successfully guided the development of their USD 20 million industrial facility, Mazaya Holding Co. of Kuwait today appointed Majaal Warehouse Co. to continue their service to the project as facilities and leasing managers. 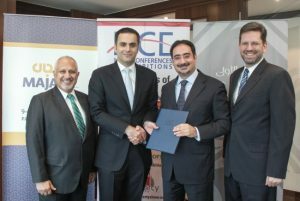 In announcing this appointment, Mazaya also confirmed that the construction of their project within the Salman Industrial City at the Bahrain Investment Wharf (BIW) had reached practical completion.